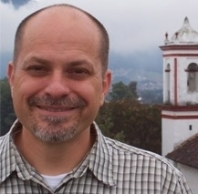 Jerry Lynch Ministries— The Lynch family has been involved in Missions work in Latin America for over 13 years. Their involvement has included short-term trips as well as longer-term assignments in Belize, Central America and Guadalajara, Mexico. The vision of this ministry includes the training of laborers for the Harvest through the Fire From Heaven Institute in Guadalajara, Mexico and the vision to reach the lost through crusades over the next 15 years, visiting 40 major cities throughout Mexico, seeing over 1 million souls brought into the Kingdom of God. Fire From Heaven now has a Bible school inside the prison in Guadalajara, Mexico. Jerry is helping to reach out to the lost in this prison and provide teaching to the prisoners there. Now, the Lynch family will come and go from a ministry base out of Alabama for evangelism and teaching in Guadalajara, Mexico along with the Fire from Heaven team. For more information or to direct prayers specifically, please visit www.jerrylynch.org.